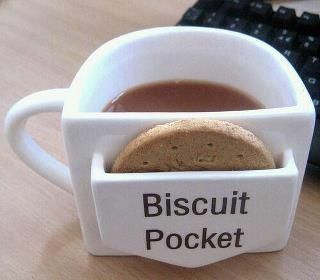 Tea cup with cookie (biscuit) pocket. This one can be called a classic innovation! Ahahhaha Yess .... quite an innovation. Never seen this kinda cup in my life. And I have no idea where I can find such a cup, maybe in one of those souvenir stores. Btw folks, crockery innovation has come a long way. 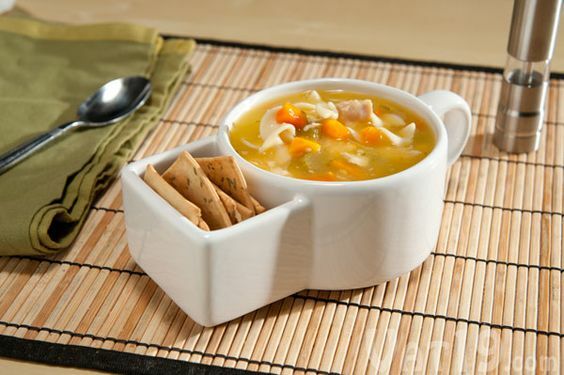 There are soup bowls with cracker pockets too.